"I need to speak for him." 20th Century Fox has debuted a second trailer for the real world drama titled The Hate U Give, adapted from Angie Thomas' book. Amandla Stenberg (seen in The Hunger Games and Everything Everything) stars as Starr, a young woman who witnesses the fatal shooting of her childhood best friend Khalil at the hands of a police officer. Now, facing pressures from all sides of the community, Starr must find her voice and stand up for what's right. The cast includes Regina Hall, Russell Hornsby, Issa Rae, KJ Apa, Algee Smith, Sabrina Carpenter, Common, and Anthony Mackie. This reminds me of the Sundance films Blindspotting and Monsters and Men, also about police shooting unarmed black men. The more I see from this movie, the more it looks so powerful and raw and real and a must-see for me. You can still watch the first official trailer for The Hate U Give here, to see more footage from this film. Starr Carter (Amandla Stenberg) is constantly switching between two worlds: the poor, mostly black, neighborhood where she lives and the rich, mostly white, prep school she attends. The uneasy balance between these worlds is shattered when Starr witnesses the fatal shooting of her childhood best friend Khalil at the hands of a police officer. Now, facing pressures from all sides of the community, Starr must find her voice and stand up for what's right. 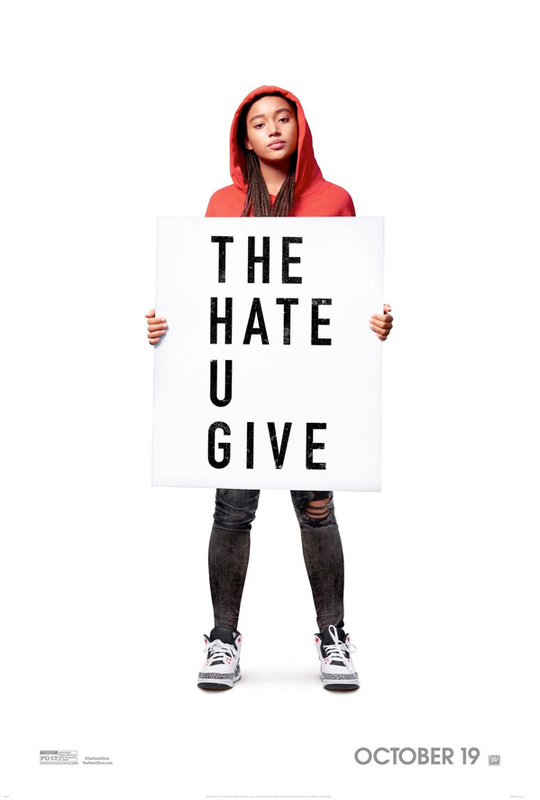 The Hate U Give is directed by American filmmaker George Tillman Jr., director of the films Soul Food, Men of Honor, Notorious, Faster, The Inevitable Defeat of Mister & Pete, and The Longest Ride previously. The screenplay is written by Audrey Wells (Under the Tuscan Sun, A Dog's Purpose), adapted from the best-selling book of the same name by Angie Thomas. 20th Century Fox will release The Hate U Give in theaters starting on October 19th in the fall. Your thoughts?